As a dividend investor, I certainly would never have considered gold stocks as a possible investment for my portfolio. In fact, I haven’t even invested in gold, and have missed the big run-up in gold bullion over the last few years. I’ve always considered gold and gold stocks as speculative investments to be avoided. However, the price of gold bullion and the share value of gold producers are not always correlated. Currently gold is only 7% off its March highs, with a troy ounce of gold currently trading at $1662 USD. Conversely, the world’s two largest gold producers by market cap, Barrick Gold Corp. (ABX) and Goldcorp Inc. (G), have been steadily declining in share price and are trading only 10% above their 3-year lows. In other words, the price of gold and the price of gold producers are currently inversely-correlated. What’s going on, is there a bargain to be had in gold stocks? Barrick and Goldcorp are not junior exploration companies or penny stocks, where many investors have lost more than a penny. These are big established international gold producers, valued over 31 and 38 billion each in market cap and with solid fundamentals. Barrick is also the world’s largest gold producer in terms of profit and production tonnes. Gold stocks never would have crossed my mind. But when staff writer Vicky recently wrote her post on XIC, and her current post coming up on XIC versus XIU, I was intrigued to see both Barrick and Goldcorp in the top ten holdings. I was also surprised to see the declining share values. Ironically the big gold producers are also less volatile than you may think. You would never know it when you look at a 2 or 3 year chart of either company, as share price seems to be quite volatile. It’s surprising to note however that Barrick Gold has a beta of only 0.483, making it only half as volatile as the TSX Composite Index. Goldcorp has a beta of only 0.73 compared to the TSX. Add on lower than average debt levels, and low payout ratios, and you certainly have some food for thought. Not only are these stocks cheap in price right now, they also have solid earnings, positive cash flow, and strong balance sheets. Take Barrick Gold as an example, a 39.8 billion dollar company, which has a current return on equity of 17.93% and a profit margin of 31.33%. It has a price to book ratio of only 1.53 and a debt-to-equity ratio of only 52.32. Compared to many other big blue-chip companies, these are some pretty solid numbers. Where Barrick falls off the radar for many dividend investors is with a low yield of 1.5%. However, companies with lower yields also have the potential for more growth in their share price. Barrick Gold pays an annual dividend of 0.59 cents per share with an EPS (earnings per share) of $4.57. Goldcorp is the world’s second leading gold producer. Goldcorp is a $31.0 billion dollar company, which has a current return on equity of 8.84% and a profit margin of 35.08%. It has a price to book ratio of 1.41 and an incredibly low debt to equity ratio of 3.43. Like Barrick, Goldcorp pays a low dividend yield of 1.41%. It pays an annual dividend of 0.53 cents per share with an EPS of $2.39. That gives Goldcorp a low dividend payout ratio of 22.1%. In comparison to Barrick, it has much lower debt and a slightly higher profit margin. What’s Driving the Price Down? Both Barrick and Goldcorp have been experiencing a sharp decline in their share prices this year. For example, Goldcorp is off some -30% from its high of $54.95per share back in November and currently trades at $38.38 per share. Barrick Gold is also off from its highs, some -26.2% from its high of $54.05 back in November, to its current price of $39.88 per share. 2012 hasn’t been a good year for investors who own shares in the big gold producers, and there’s likely more room for decline. What’s causing the decline in share prices? Has the demand for gold simply run out of steam? Is the price of gold and gold production topped out? That’s a likely possibility. China the world’s economic engine and largest exporter indicated their economy was slowing down this month, and troubles in Europe have certainly made investors and consumers nervous. With less overall demand for commodities, including gold, there has certainly been a noticeable drop in the share price of gold producers. Another less noticeable possibility may be share dilution. Regardless, at some point, there is going to be a buy opportunity in this sector. However, I’m not ready to jump in quite yet on either of these stocks, especially with commodity demand as the main driver for lower prices. I also suspect there is still some more room left for a decline in share price. Also be wary of the lower beta. However, the price points are looking quite attractive compared to only a few months ago, the fundamentals are solid, and these companies are on my radar. We are constantly hearing about the rise and fall of the price of gold. For those who have already invested in the precious metal, the rising cost can yield good news. This means that you can sell your commodity for a higher price than you bought it. The production of the precious metal has a considerable effect on how much it costs. In recent years, there has been less of the metal mined. The initial veins of gold that kick-started the industry have now slowly been depleted. This means that mining companies are forced to search for new yields, deeper within the Earth’s surface. This requires a greater amount of time, money, and technology. These are the aspects that increase the cost of mining the yellow metal. When these costs increase, mining companies make up for the added manufacturing expenses. They do so by elevating the price at which they sell the precious metal. The value of the U.S. dollar is inversely proportionate to that of gold. When the American currency depreciates, the price of the precious metal increases. This is because when the dollar is performing well and maintains a high value, it is an investment favorite. People prefer to use it as a trading tool. Once the dollar begins to weaken, however, investors switch to a more stable form of financing. They usually begin to invest in and trade with gold. This causes the price of the metal to increase considerably. This is also a global phenomenon that is not merely restricted to the U.S. dollar. The precious metal is more than a commodity to be traded. This yellow metal has actual, important uses in the real world. One of these is of course, jewelry – it is estimated that over 50% of the metal is used in adornments. There is also a considerable amount used in the medical arena and for technology purposes. When the economy is quite strong, consumer spending power is similarly strong. This causes an increase in demand for jewelry and other items containing the precious metal. When this occurs, gold becomes a highly desired material. This is depicted through the cost of the precious metal. The price of the yellow metal rises to match its demand. 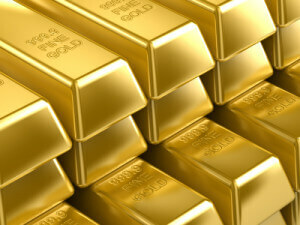 Once you are aware of the factors that affect the price of gold, you can monitor these aspects. You can watch the local and the global market to see any trends that may result in an increase in price. It is also useful to observe the efforts of the gold mining companies. This too will provide you with a wealth of information. You will then be able to know exactly when you should begin selling the precious metal. The World’s largest gold bar is on display in Japan at the Toi Gold Museum. It was manufactured by the Mitsubishi Materials Corporation and went on display at the museum in 2005. The Toi Gold Bar weighs a massive 250kg, or some 8037.686 troy ounces. At today’s current spot price of $1610.30 USD per troy ounce, the Toi Gold Bar is worth some $12.9 million dollars (USD). That is one massive currency hedge! The standard gold bar held and traded internationally by central banks and bullion dealers is the Good Delivery bar with a 400 oz. nominal weight (from Wikipedia). Its current value at $1610 USD per troy ounce is $644,000 dollars (USD). When countries store gold reserves, they are using the 400 oz. Bar. For individual investors, gold producers also forge 1kg gold bars, the equivalent of 32.15074656 troy ounces. At today’s post price of $1610 USD per troy ounce, a 1kg gold bar is valued at $51,772 dollars (USD). Gold bars are also available in 500 and 100-gram denominations. For the average investor buying large gold bars really doesn’t make much sense. Alternatives such as precious metals funds, gold bullion ETFs, and single troy ounce gold coins, make investing in gold much more practical. When times are uncertain, it’s no surprise to see the Gold Bugs making a comeback. Many investors do not consider gold bullion as a suitable investment, especially as it does not produce income. However since the Financial Crisis of 2008 and 2009 and continuing global economic instability, the price of gold has been increasing in price and held its ground. I’ve been one of those investors who hasn’t jumped on the gold bullion wave, but looking back I sure wish I did! Back in July 1999, gold was trading around $256 USD per troy ounce. By September 2011, gold had reached a peak of $1892 USD per troy ounce, a 640% increase in 12 years, or 53% average annual return. Today, gold is valued at $1613 USD per troy ounce. For the ten year period ending June 2012, gold has increased from $325 to $1613 per troy ounce, an increase of $1288 dollars (USD) or 396% return. Although gold does not pay you any dividends or interest, simply holding the metal over the last 10 years would have netted you a 39% average annual return. A ten year chart of gold tells the whole story. Is it Too Late to Jump Onboard? It’s easy to look back in the rearview mirror. Although gold has been a great investment over the last decade, there is no guarantee it will continue to be. During strong bull markets, gold tends to lose its luster and usually makes its comeback during market downturns and uncertain economic times. Those uncertain economic times look poised to continue, as G7 nations deal with massive deficits. In Europe countries such as Ireland, Greece, and Spain have teetered on the verge of default, yet they have been bailed out by wealthier nations. Europe and the G7 countries continue to pass the “hot potato” of debt from one nation to the next, print more money, or issue new sovereign bonds to band-aid the problem. But as David Trahair pointed out in his recent book Crushing Debt, it is unlikely that the government and sovereign debt will ever be repaid. In light of this economic uncertainty, gold may hold its value, and it could well be a hedge if there actually is a sovereign default. Will gold soar to new highs as it has over the last decade? That really is the million dollar question. In a previous post, Are Gold Stocks Cheap, I looked at two of the world’s leading gold producers Barrick (ABX) and Goldcorp Inc (G). Both of these companies trade on the TSX and are the world’s leading gold producers. In that post, I examined that the price of gold bullion and the share value of gold producers are not always correlated. In fact, the price of gold producers and the price of gold are currently inversely correlated (see chart below). I covered a couple of the possible reasons why in that post. While gold producers may be a bargain at these price levels, it does not necessarily mean that they are a replacement for buying the metal itself. In other words, gold bullion and gold producers have become very different types of investments. But it wasn’t always that way. In times of economic uncertainty, investors bought the shares of gold producers as well as gold bullion. When you buy a gold producer such as Barrick or Goldcorp Inc. you are not investing in the price of bullion. You are investing in a mining company which is also a gold producer. Barrick and Goldcorp are $39 billion and $32 billion dollar companies. They have established global operations, are top constituents of the TSX Composite Index, and pay a dividend to investors. These may not be generous dividends at 1.3% yield for Goldcorp, and 2.3% yield for Barrick, however, Barrick has raised its dividend every year. As with lower yield stocks in general, there is also more potential for capital growth. But with all the recent economic uncertainty in Europe and declining global markets, investors are not buying the gold producers – they are buying the bullion. One reason investors haven’t been flocking to the gold producers is the array of other options available to them. Investments in gold now extend far beyond buying the gold producers, to various ETFs, mutual and managed funds, or even buying the bullion itself. Investors also feel that there is more price stability with buying gold bullion as opposed to buying a gold producer with its swings in share price, management or profit, and production uncertainties. Case in point, Barrick Gold’s recent board decision this month to oust its CEO Aaron Regent. This was a big shock to investors and the market since the same board gave him a glowing review only a few months earlier. In a recent Globe and Mail article, buy bullion, not gold stocks, Canadian hedge fund manager Albert Friedberg believes most investors are far better off holding gold bullion than the shares of gold producers. The article also points to the shift of institutional investors, who now prefer to trade bullion-linked ETFs. For the small investor, ETFs make sense. For the price of a mere trading commission, an investor can purchase gold bullion ETF such as iShares Gold Bullion Fund (CGL). There is no need for an investor to take physical possession of the gold, deal with spreads on the bullion price, or deal with fund performance and management fees etc. How you play the gold bullion card, is really dependent on your investment objectives. If you simply want to play the swings (which is not investing) or have the most liquidity with your investment, a gold bullion ETF is the way to go. If you are hedging your portfolio against a catastrophic banking failure, then you would want to buy the bullion directly. Readers, what’s your take? Investing in gold producers or gold bullion? Portions of this post were written on behalf of Gold Made Simple and Hinde Capital and are not intended as an endorsement or recommendation to buy gold, and is provided for educational and entertainment purposes only. Readers, what’s your take? 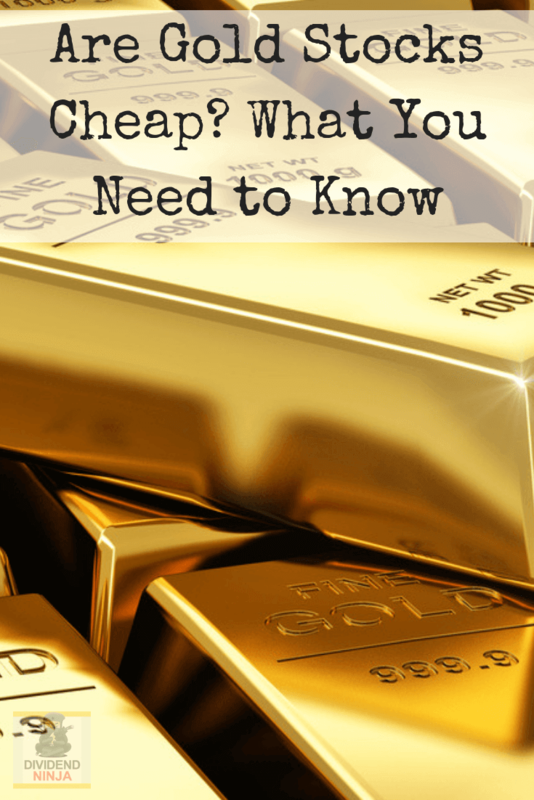 Do you think gold stocks are cheap? Would you consider adding gold stocks like Barrick and Goldcorp to your dividend portfolio? Good, interesting post, because I never ever considered the gold stocks. Now, this is food for thought…. I’ve personally never held gold companies in my portfolio, but I used to have XGD, which is a gold ETF (of course! 🙂 ), and i’ve definitely noticed that it is trading a lot lower than when I sold it. That being said, I have no plans to add it back into my portfolio again right now, but its definitely on my watchlist. It will be interesting to see if you decide to add it to your portfolio! Hey Vicky I bet your glad you sold XGD a while ago, hoping you made a golden profit on that one. 🙂 I suppose you could make a play on XGD again with a small amount of capital. However with your holdings in XIC, 5.5% of that ETF is already in Goldcorp and Barrick, and even more if you hold XIU, right? I’m sure Kinross and a couple of other gold producers are in there as well. So you already have a 6% to 7% stake in the gold producers by default of owning XIC or XIU. Hey DN, love the golden pun. I guess when it comes to Gold companies all that glitters is not gold! I’ve always found it weird to truly judge the value of gold or gold mining companies. I understand the intrinsic value in a company like Wal-Mart or Proctor and Gamble, butis such a weird substance to invest in. I shy away from it just because it has such a weird history, and the fact that gold prices are not correlating to companies whose basic sole production is gold is worrisome to a simple passive investor like me. Interesting case study. I will perhaps consider it, but as you say w/ gold we haven’t perhaps reached the bottom yet. 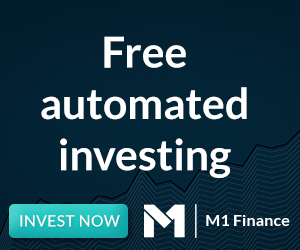 I also want to add the point, this is an investment for someone who already has a sizeable and well-diversified portfolio, and is looking for an additional opportunity. It should not be considered a core holding. Exactly, it stay a speculative stock. I too find gold to be a speculative investment. It’s not so much the gold mining that I don’t understand, it’s where and how it’s used. Aside from jewelry and semi-conductors, how is gold used? For example, I understand how the world economy uses oil and how people consume Coca-Cola products, but I am not sure about gold or even silver for that matter. That’s one major reason why I don’t own it. PIE, I think most of the world’s leading countries have enourmous stock-piles of gold as a hedge against their currencies and ecomonic events – that’s where most of the world supply is used. For example the U.S. dollar was hedged with gold until the 80’s. For that reason alone gold holds value, but not its not like buying PG, and doesn’t pay you a dividend or a coupon payment. And yes people have adorned themselves with gold for thousands of years, and the industrial use is minimal. I am thinking of buying Barrick for my portfolio as hedge for poor economic times due to the beta score.